After spending a pleasant evening in Porto Moniz on the north-western tip of Madeira, our Feb 29th was to be spent going up into the mountains, crossing the central high ground’s so-called “Desert Plain” to wander along few more levadas and down towards the south coast again. Happily, the up component was courtesy of Messrs Ford, Mercedes and Benz in the forms of our two minibuses, leaving us with the 9mls/14.5kms of down on the other side. 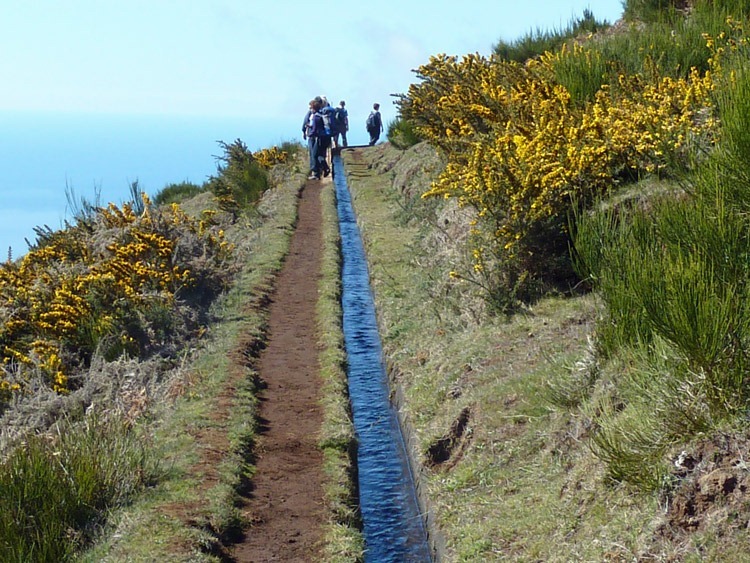 As with yesterday, the levada fell very gradually such that the water ran gently and silently. I was back marker armed with a whistle so I had time to play around a little. Out of curiosity, I decided to use my Garmin GPS to try and estimate the gradient of the levada. I plotted a waypoint at the beginning of the walk (altitude: 4310 ft/1314 mtrs) and another when we hit the two mile mark (altitude: 4262 ft/1299 mtrs). In two miles the levada had dropped a mere 48 feet. Rounding to make life easy, that’s ~50 ft in ~10000 ft, a gradient of roughly 0.5%. Well, it keeps me amused. 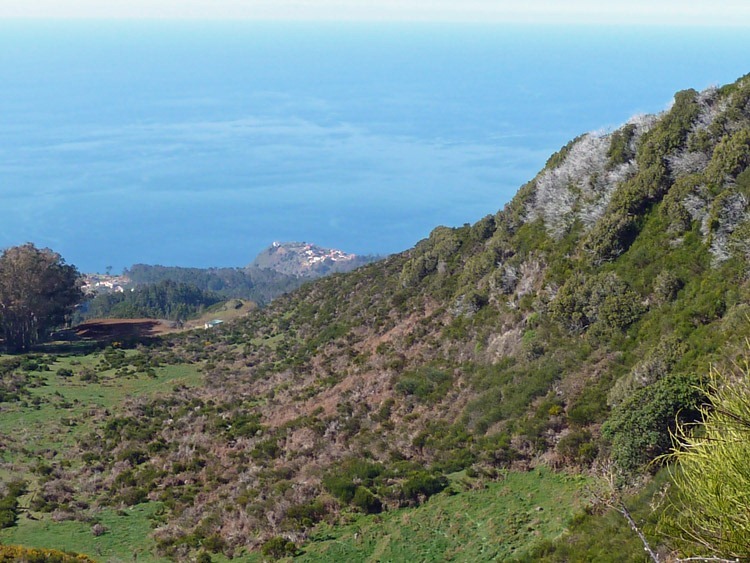 A theme developed concerning wildlife on Madeira. Many of its species exhibit minor differences compared to their mainland counterparts and are Madeiran subspecies. This is true of the Chaffinch. 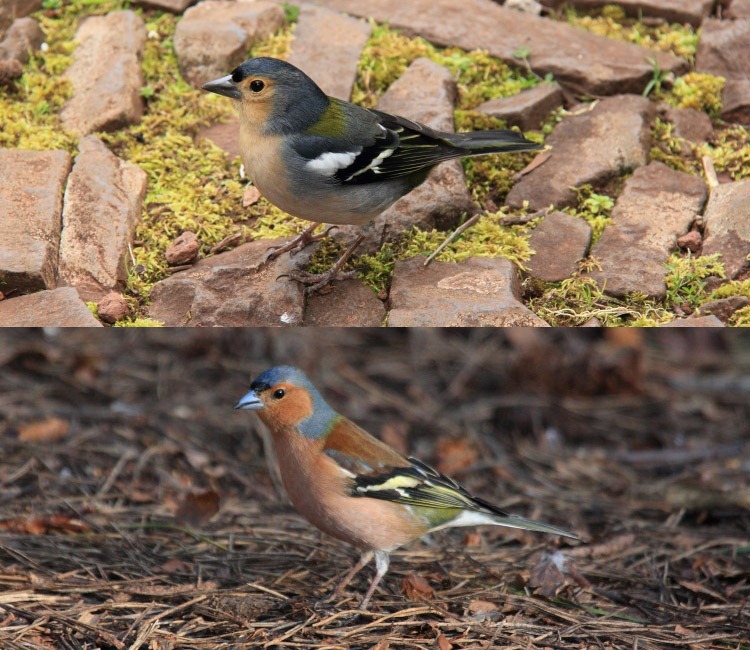 Our Chaffinch is Fringilla coelebs whereas the Madeiran Chaffinch is Fringilla coelebs maderensis. I think describing the differences would be a bit challenging but it certainly looked noticeably different. Just for fun, here’s a composite picture of both, including one from our lunch party, in similar poses to compare – the Madeiran Chaffinch is above. 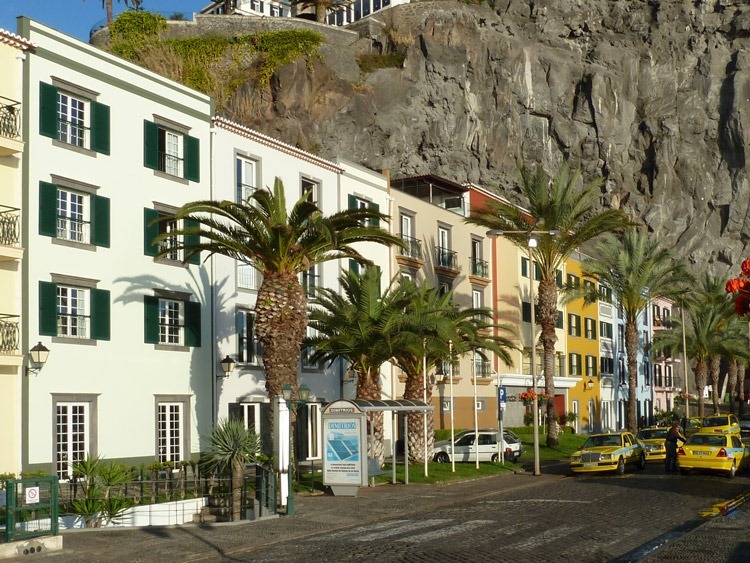 Two things really impressed us about the Enotel at Ponta do Sol. Firstly, the architecture was noteworthy in that a relatively large hotel was designed outwardly to look like several smaller buildings. The multiple colours reminded me of Villajoyosa in Spain where they are similarly bold with colour, in a pleasing way. Check out the picture; that’s all one hotel – clever! Secondly, when we returned downstairs having showered and changed, the doormat had already been returned to its original virginal white state. Bravo Enotel!